Gone are the days that the best names in the iGaming industry depend on popularity. 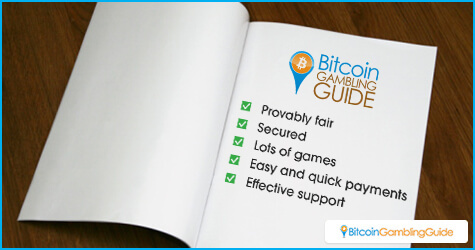 With Bitcoin Gambling Guide’s upgraded ranking system, online players are assured of seeing only the leading brands that truly deliver impressive services and features. BitcoinGG continues to foster a healthy environment for Bitcoin players and gambling operators, and one of the ways it forwards this mission is to objectively assess all Bitcoin gambling sites. Hype and effective promotions are no longer the only factors that matter for a gambling site to succeed. Instead, it is the whole package. And this is exactly what BitcoinGG presents through its ranking system. 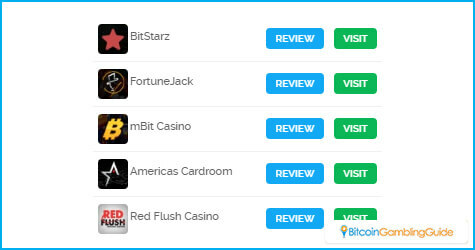 How a brand can join the top 10 Bitcoin gambling sites shown on the BitcoinGG website is reflective of the features and types of services it caters to the players. A Bitcoin casino may have an enormous set of bonuses and promotions, but it may still rank lower because of its poor customer support. BitcoinGG thoroughly dissects through the core of an online gambling brand to pinpoint the excellent qualities it possesses, as well as the areas that still need to be improved. It is through this careful and balanced process of evaluation that the position of a Bitcoin gambling brand is determined. A standard set of criteria is followed to automatically calculate the score of a Bitcoin gambling site. The BitcoinGG team will have to provide its rating, but the entire process cannot be manipulated, specifically the percentage rating for the other criteria. This set-up ensures that the review rating will be objective, which will reflect in the ranking of the Bitcoin gambling sites in today’s market. Bitcoin casinos, sportsbooks, poker rooms, and other Bitcoin gambling sites do constantly upgrade their offerings, and this is an effective way for the brands to boost their rankings on BitcoinGG. Updating the games they offer, the software and game content providers they use, or even the customer support services they provide will positively affect their review rating. This will then reflect in their performance in relation to their competitors. Likewise, favorable reviews from the players can push Bitcoin gambling brands to the top since players have the power to rate all of the gambling sites reviewed on BitcoinGG. This also means, however, that when players are not satisfied with a casino’s performance, they can rate the brand lower, and this will affect the casino’s BitcoinGG ranking. Through BitcoinGG’s ranking system, players can provide their two cents and share with the Bitcoin gambling community the issues the brands must resolve and improve on. At the same time, online gambling operators have the means to effectively update their services and features that will not only push their rankings higher, but these will also bring their new offerings closer to the playing community.